Members of the Gazania genus are usually grown as half hardy annuals in the garden though in reality they are perennials. 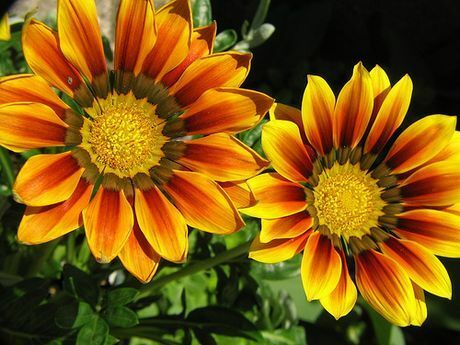 Gazania plants range in height from 20 to 40 cm and bloom in the summer and at the start of autumn. When in bloom the plants are reminiscent of daisies and flowers may be pink, red, yellow or orange; many species have very attractive striped petals. A commonly grown member of the Gazania genus is the Treasure Flower. Common Names: Treasureflower, Gazania, Coastal Gazania. Height: 4 to 14 inches (10 to 35 cm). Growing Region: Zones 5 to 10. As a perennial in zones 9 and 10. Flowers: Late spring, summer and autumn. Flower Details: Yellow, red, orange, pink, bronze. Daisy-like ray and disc florets. Foliage: Dull green, silver/blue, blue/green. Basal rosettes. Oval shaped. Sow Outside: 1/8 inch (3mm). Following last frost. Spacing 5 to 14 inches (10 to 35 cm). Sow Inside: Germination time: one to three weeks in the dark. Temperature 65°F (18°C). Seven or eight weeks in advance. Transplant outdoors a few weeks after the last frost. Requirements: Full sunlight. Soil pH 5.5 to 7.5. Light soil. Sandy soil. Dry soil. Deadhead. Propagate: cutting in late summer or early autumn. When growing Gazania plant species such as Treasure flower outdoors from seeds it is best to sow just after the last frost at a depth of about 3 mm. Space the plants at 20 to 40 cm apart depending upon the size of the Gazania variety. Ideally treasure flowers should grow in a sunny part of the garden that has a light sandy soil and a slightly acidic to neutral pH (5.5 to 7). 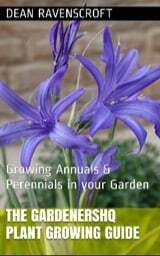 If you first plan to grow treasure flowers indoors then sow about 7 or 8 weeks in advance. It should take most species from one to three weeks to germinate at a temperature of 15 to 18 degrees centigrade in the dark. Transplant the Gazania seedlings into the garden in spring a couple of weeks after any chance of frost. 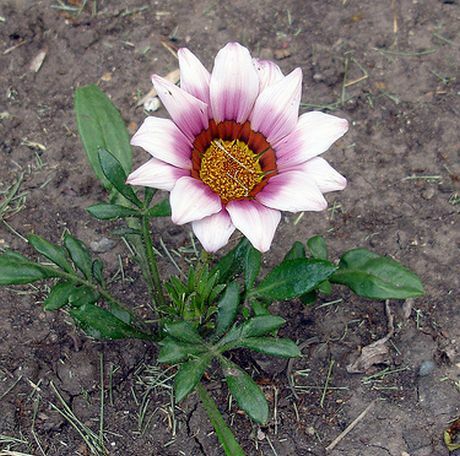 It is really easy to look after Treasure flower and other Gazania plants. They can tolerate drought so no need to water; you may like to remove (deadhead) old flowers for appearances sake. If you require more Gazania then propagate by taking cuttings from towards the bottom of the plant at the end of summer.